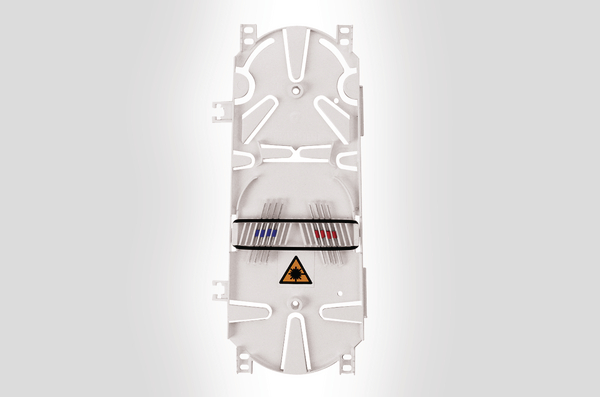 Technical Description The Hellapon medium is a rectangular tray designed for single element applications which is manufactured from ABS and finished to a high specification to eliminate the risk of snagging or microbends. All retaining tabs on the tray have radius edges and rounded corners where fibre may pass. 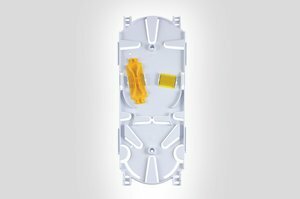 The overall dimensions of the tray are 235 x 96 x 7mm and the maximum splice capacity of 24 x 3A (double stacked) splice protectors up to 60mm long (Style C) or 16 x 3A splice protectors up to 45mm long (Style A and B). 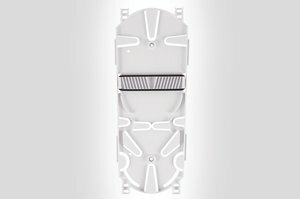 The tray is available in three styles, Style C which accepts either a standard HellermannTyon 3A or ANT/Crimp splice bridge, Style A and C have moulded splice fins (3A or ANT/Crimp. Styles C and A can be mounted on a fixed support or flexible side hinges for FRBU closures and Styles B has side mounted pivots for FML closures. 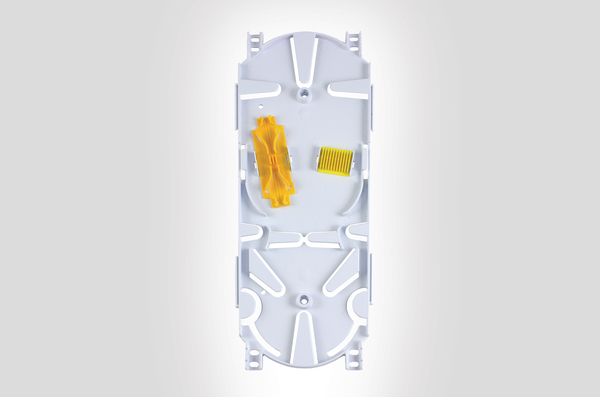 Style A trays are colour coded, white for 3A and yellow for crimp inserts.